Set amidst gorgeous tree canopy in the sought-after Oyster Bay community, this custom home has so much to offer! An abundance of natural light fills this cozy lakefront home. 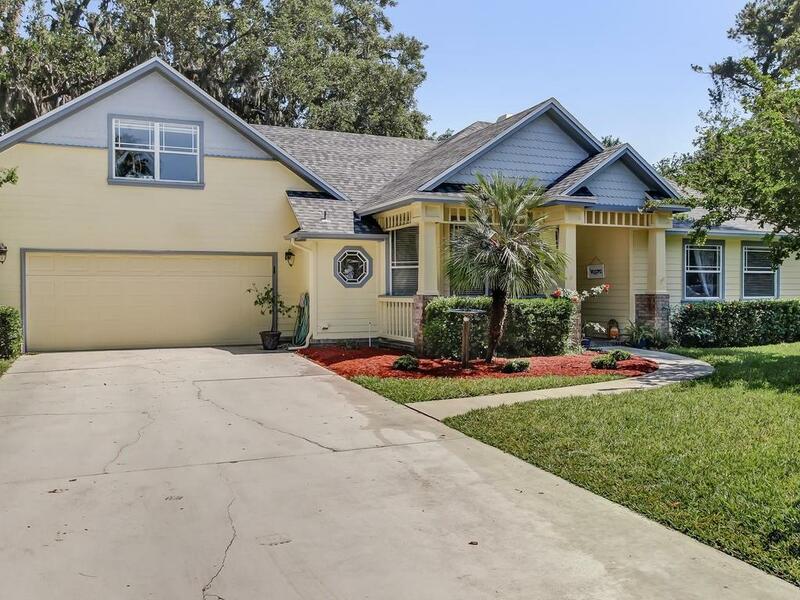 Built by popular and well known Harry Trevett, this home offers a comfortable floor plan, spacious bedrooms and living areas, upgraded lighting and plumbing fixtures, plenty of storage, gas fireplace, and a 2 car garage. The kitchen offers all stainless steel appliances including a large refrigerator, microwave, and new dishwasher. The irrigation system runs off of a private well. A large private backyard with a fire pit fronts one of the lakes within Oyster Bay and offers panoramic views, fishing, and bird watching. New exterior and interior paint in most rooms! The roof was recently replaced, in 2017. Oyster Bay offers tennis courts, RV/boat storage, & community pool. Oyster Bay is known for its large lots, beautiful trees, and well-manicured lawns & landscaping.